GEORGE TOWN, Grand Cayman – In the final day of the 2018 Cayman Islands Classic, the Georgia men’s basketball team lost to Georgia State, 91-67, Wednesday evening at John Gray Gymnasium. 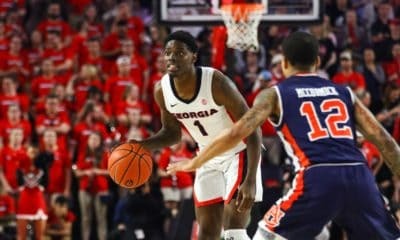 The Bulldogs (3-3) shot 47.2-percent from the floor, but the Panthers displayed a 55.7-percent shooting performance including 14 three-pointers to Georgia’s five. Senior Panther forward Malik Benlevi had a game-high 24 points including eight threes. The defending Sun Belt Champion Panthers improved to 3-3 on the season. The Georgia scoring was spread out with four players reaching double digits. For the second time this season, senior forward Derek Ogbeide led the Bulldogs in scoring and rebounding, this time with 14 and eight, respectively. Junior guard Jordan Harris and sophomore forward Rayshaun Hammonds had a dozen points apiece, while Teshaun Hightower chipped in 11 points on his 21st Birthday. In the first half, Georgia led 14-11 prior to the Panthers going on a 14-0 run to swing momentum for the rest of the first 20 minutes. Georgia State went into the break with the 51-32 advantage, while just outshooting the Bulldogs 54.3 percent to 50 percent. The difference lied in the three-point shooting as Georgia State drained eight to Georgia’s four. 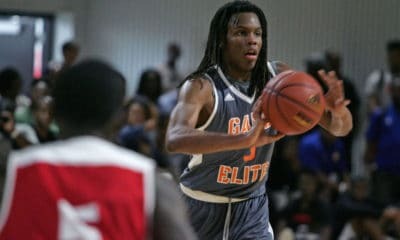 Panthers’ Benlevi drained five threes for a game-high 15 points, while Hammonds had a team-high 10 points for Georgia. To start the scoring in the second half, Nicolas Claxton corralled a defensive rebound and assisted an Ogbeide dunk at the other end. Georgia State then rallied off a 23-8 run with four threes to lengthen their lead to 74-42 by the 11:41 mark. 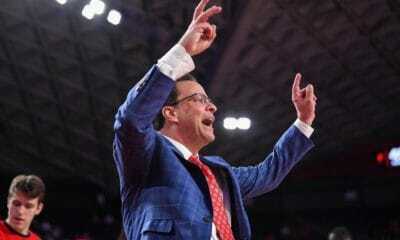 The deficit proved too large for the Bulldogs to make a comeback down the stretch. 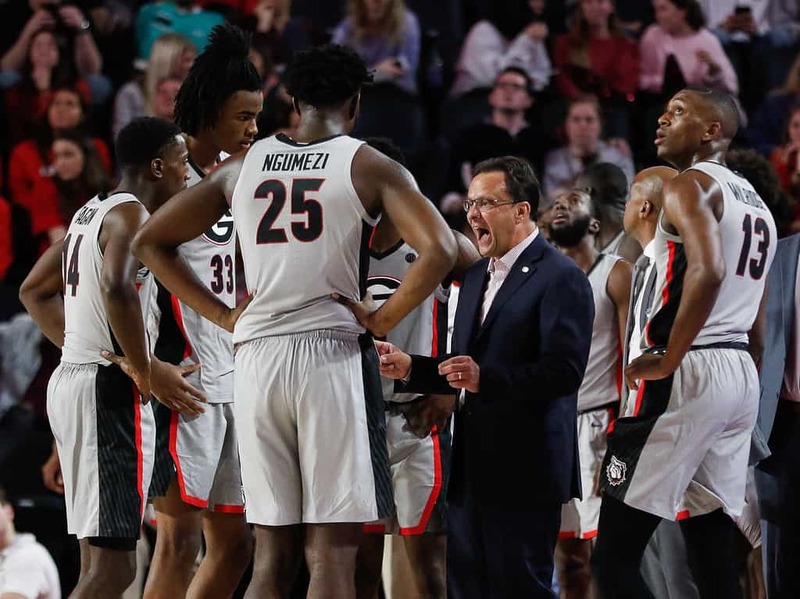 The game marked the third game this season that the Bulldogs have faced an opponent that made a postseason appearance last season and had at least 20 wins. Georgia is 1-2 in those meetings. 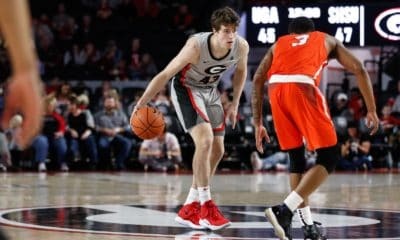 Georgia next plays Kennesaw State on Tuesday, November 27th, at 7 p.m. at Stegeman Coliseum.